Millions of people wear contact lenses to help them see clearly. We’ve seen many advancements in lens materials and designs over the years. There are more types of contact lenses and lens choices available now than there were in the past. Most individuals wear contact lenses without trouble. You may have to try different types to find your perfect pair. If you have tried contacts in the past but stopped due to discomfort or poor quality, it may be time to try again. [DOCTOR NAME] will help select the best option for your eyes! We have options for the type of correction, prescription, tear production, lifestyle, and more. Contact [PRACTICE NAME] to learn more. Soft contacts are the most common type of contact lenses. They account for over 85% of contact lenses dispensed. Traditional soft contact lenses consist of soft plastic polymers and water. They allow oxygen to permeate through the lens material to the cornea. Most people find soft contact lenses comfortable. The advantages of soft contacts are that people assimilate to them almost right away. Soft lenses come in different prescriptions and designs depending on your budget and need. For some prescriptions, they do not offer the same visual acuity as gas permeable lenses or glasses. Your eye care professional can help you determine which design will be best for you. 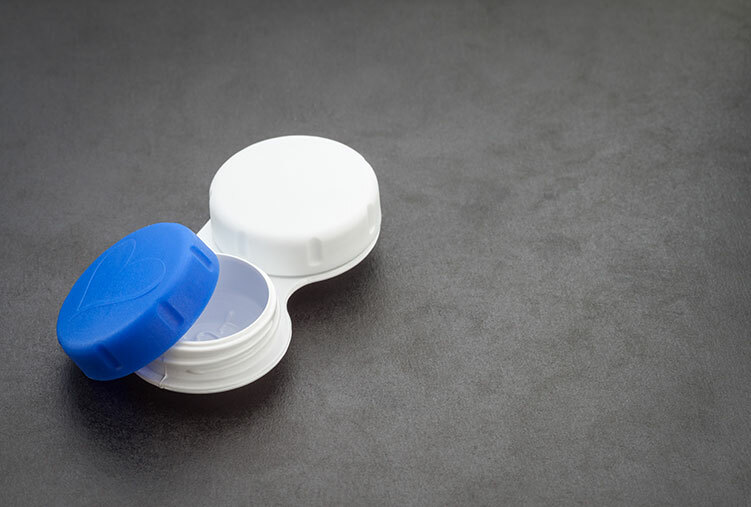 Disposable contact lenses are soft lenses are discarded on a daily, weekly, bi-weekly, or monthly basis. With regular replacement, protein deposits do not build up. Deposits can affect vision, comfort, and the health of the eyes. These lenses are convenient and low-maintenance compared to traditional soft lenses. It is important to replace disposable contacts as suggested to avoid eye infection. Disposable lenses are available in most prescriptions. Rigid Gas Permeable (RGP)—or just Gas Permeable (GP)—lenses are sometimes mistaken for old-fashioned lenses. The old hard contact lenses that people know are rarely used today. RGP lenses are more pliable, more comfortable, and they allow oxygen to the cornea. Gas permeable lenses allow more oxygen to the cornea than traditional soft contact lenses. They do not change their shape when you blink or move your eyes because they are rigid. This means they offer sharper vision than soft contacts. They are much more durable than soft lenses. Because they do not contain water, proteins and lipids do not adhere to them like they can do with soft lenses. RGP lenses also come in many bifocal and multifocal designs.